Both of these items are for discussion and direction purposes only – no formal votes will take place at this time. Council will be discussing items related to code enforcement such as carports, parking on front lawns, dilapidated fences, RV parking, etc. If a majority of Council wants to move forward with any items, ordinances will be drafted and placed on the July meeting agenda to be voted upon. 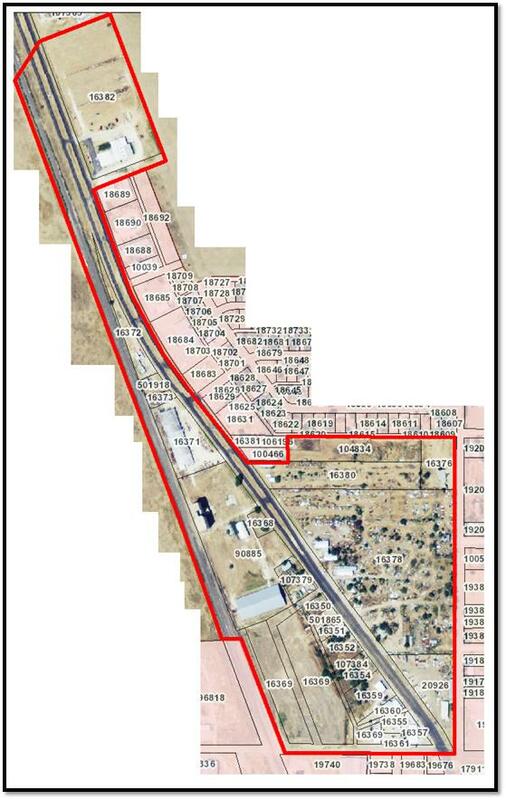 Council will also be discussing whether or not to proceed with the annexation of properties located along North Highway 87 (a map of these properties is found below outlined in red). If a majority of Council does wish to proceed, there is an annexation process to be followed which includes multiple public hearings before a formal vote is taken on the matter. Citizens and interested parties are invited to attend the City Council meeting to provide their comments. During the City Council meeting there is a Public Comment item at the beginning of the meeting for anyone to speak. Please keep comments between 3-5 minutes. If you ask any questions, they must be related to an item listed on the agenda otherwise Council will not be able to respond due to the Open Meetings Act. City Council is also at liberty to ask for additional input during the discussion items listed on the agenda if they have further questions of anyone sitting in the audience. In addition, you can send written comments for or against any items to afreeman@tulia-tx.gov which will be provided to the City Council before the meeting. And if you have any additional items you would like to see be considered by Council, please let us know. The entire City Council agenda will be posted by Friday, June 6th and can be found at http://www.tuliatexas.org/agendacenter.